> HIGH SPECIFICATION 2 OWNER SL > FULL SERVICE HISTORY (11 services) > 12 MONTHS MOT (No Advisories) > CLEAR HPI +MILEAGE CHECK. 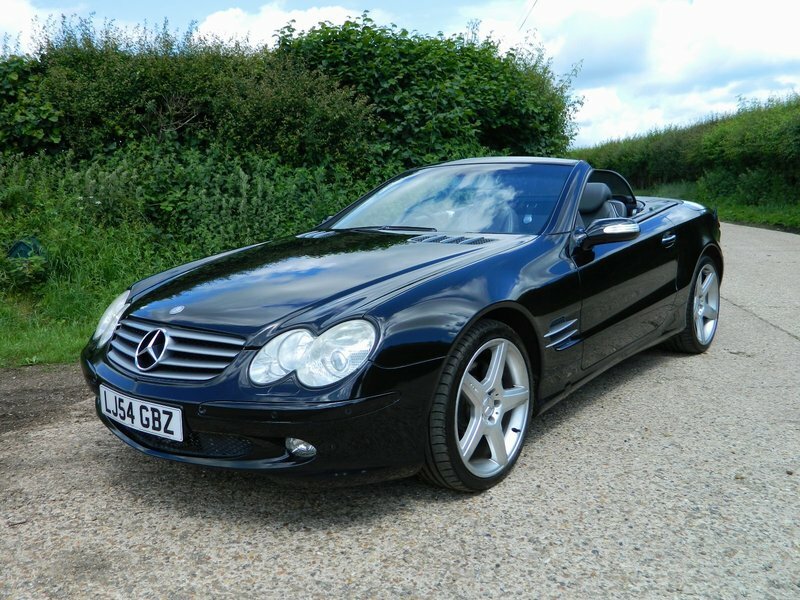 We have another low mileage, low owner SL for sale. This one has had just the 2 Owners from new and comes with a full service history and has also just been serviced and checked over by our local Mercedes Specialist, Star Motors of Caversham who have a great reputation. This SL has also just passed passed its MOT with No Advisories. This is a high specification SL500 and comes with some nice extra's such as the Panoramic Roof, the expensive 19" 5 Spoke AMG Alloys, BOSE Sound System, Wind Deflector and this car also has the Comfort Seat option which means they are Heated, but also provide Cooling in the summer. Standard specification also includes COMAND Sat Nav, 6CD Changer, Full Leather Interior (Graphite Grey), Front and Rear Parking Sensors, Cruise Control, Bi Xenon Headlights, Active Suspension/Body Control, Electric Windows and Electric Folding Mirrors, Remote Central Locking, Multi Airbags, ABS, Traction Control, Alarm + Immobiliser and much more. This car also comes with all Handbooks, 2 Sets of Keys, Sat Nav Disc, Locking Wheel Nut and this SL500 also has the optional spare wheel and tyre. This is a beautiful car to drive and has none of the problems that can effect some SL's, ie wet boot which can effect the Central Locking operation and also the Electric Folding Roof. PLEASE CALL TO ARRANGE AN APPOINTMENT TO VIEW or for further information. Part Exchanges welcomed and this car will come with a Warranty and as we are AA Approved Dealers you will also receive a free 12 Month AA Breakdown Policy.